It never fails. No matter how long I hold onto my maternity clothes (or baby toys) as soon as I get rid of them, I need them again. I have restocked some items but my skirt department was lacking. Looking at the prices again gave me sticker shock and once again the crafter in me said, "I can do that". I went through my stockpiles and got to work. After I finished I decided to share with you. With maternity option and no pattern pieces. 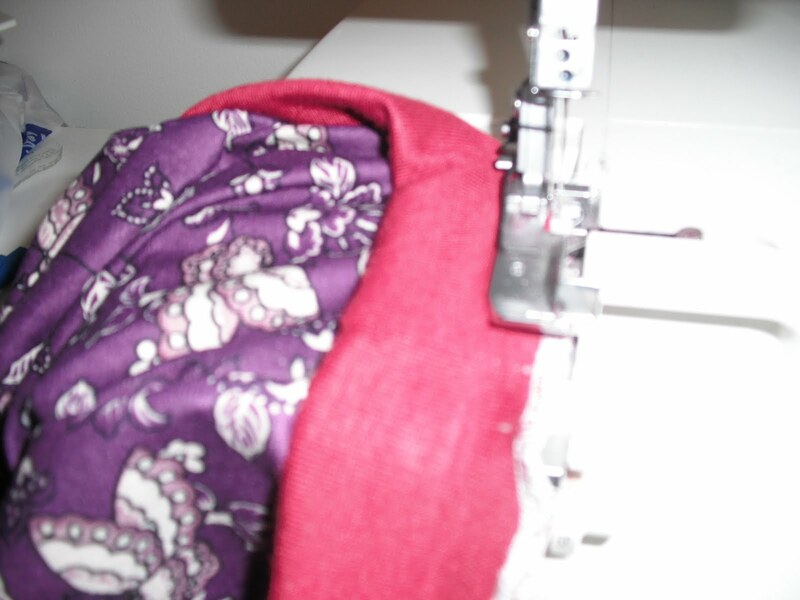 ~If you don't have a serger, don't worry. 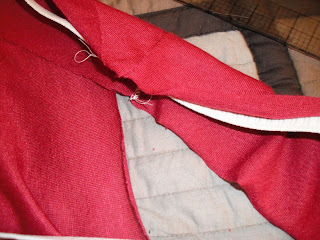 You can also finish your seams with a flat fell or french seam. Now, take your rough measurements.Measure the widest part of you (mine was my hips) and add 2 inches. Next, measure where you would like your skirt to hit your waist. 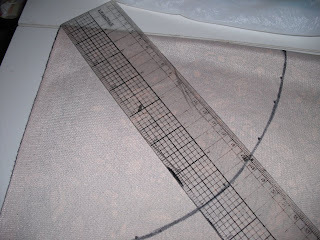 Mark your waist measurement on your knitted material (still folded). Then mark 4 inches down and cut out your rectangle (mine was about 45 wide by 4 long). Serge the ends together to make a tube. 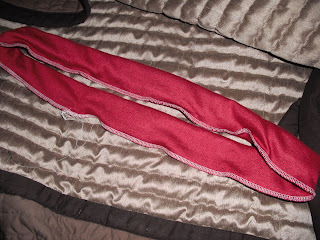 Take your elastic and measure out your waist measurement on it but do not cut. 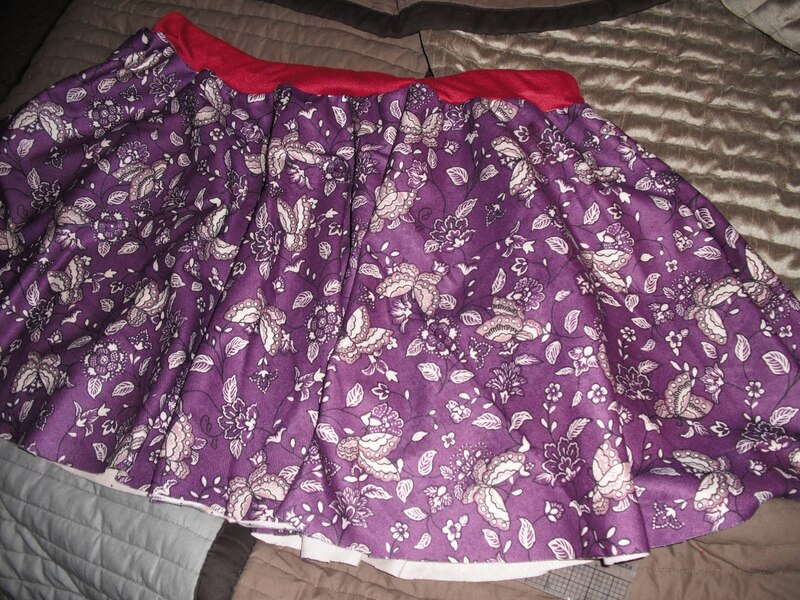 Fit it around you and adjust so you feel like it will properly hold up your skirt. I took about 3 inches out. Overlap the ends and zigzag stitch over top of it, making a loop. 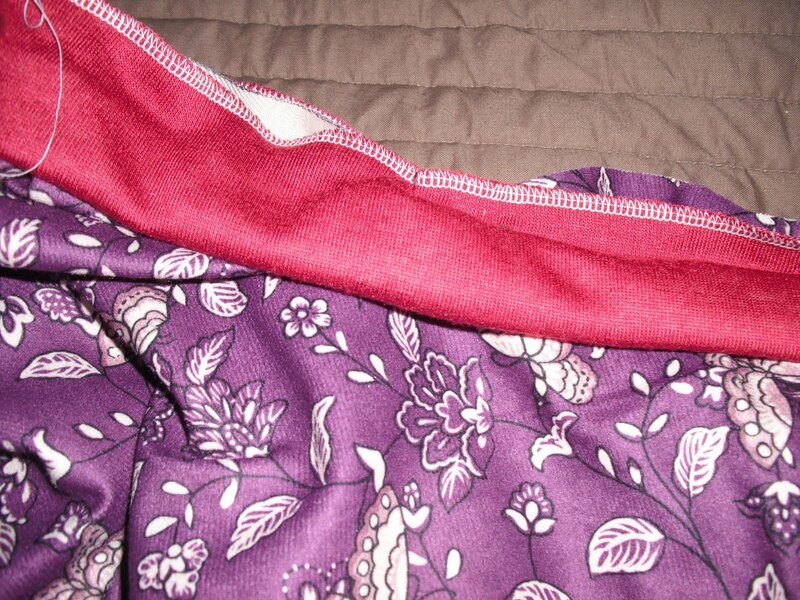 Fit this loop inside the knit with right side facing out, and serge closed. Pull out your Pattern Bible. 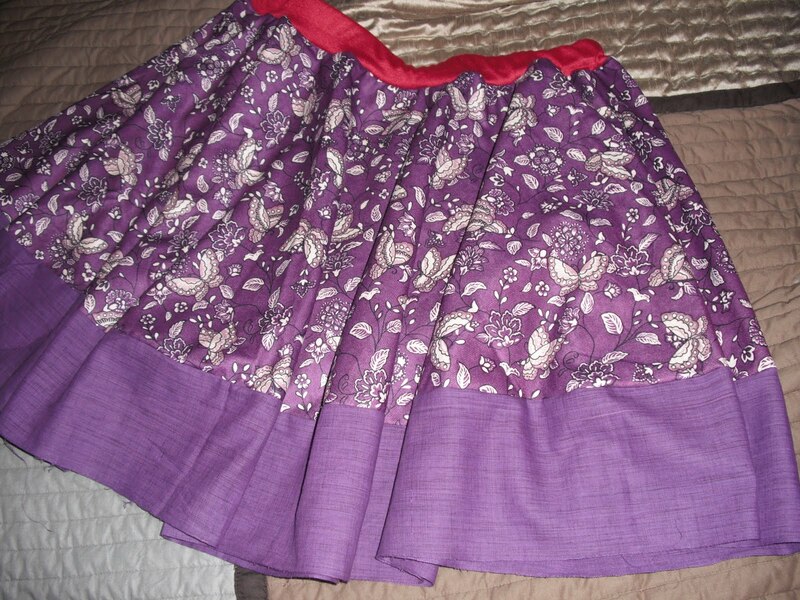 I assume you don't have one so I took a picture of this magic circle skirt making page for you! 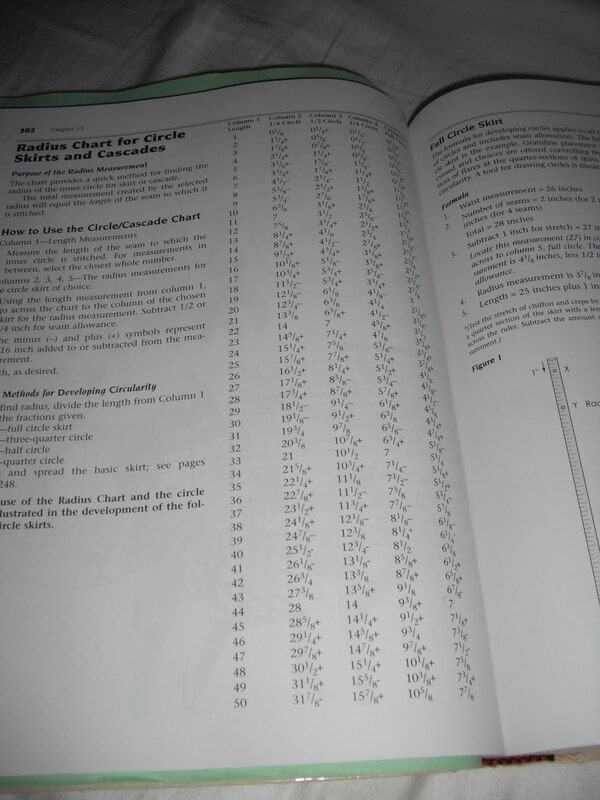 Look up your widest part measurement in column one, follow it over to column 5 ( for -Full circle) This will be the radius you will make your circle with. Write this down and right under it, the length you want your skirt to be. Add this up and f this is wider than 22 inches (if a 45 inch fabric) or 29 (if a 60 inch fabric) you will need to draft a paper pattern to continue (sorry). 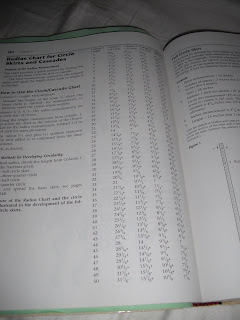 From Patternmaking for Fashion Design, Third Edition by Helen Joseph-Armstrong. 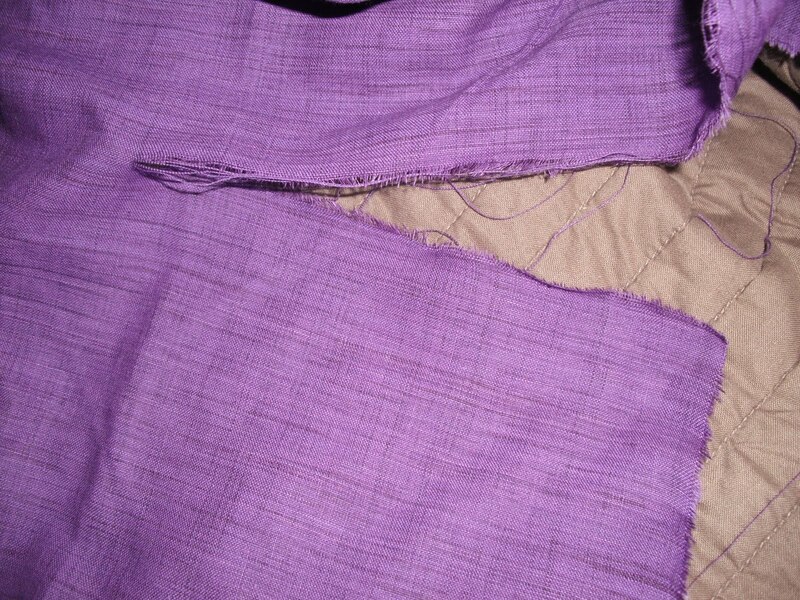 Next take your fabric and fold in half. I used the center fold. Measure out with your plastic ruler your radius. Place your ruler at the point (like a compass) and mark the radius with your marker. Dot every few inches and when you've gone the entire section roughly fill in the spaces. Do the same with the length from your radius marks. Cut out your piece then lay on top of your fabric again. 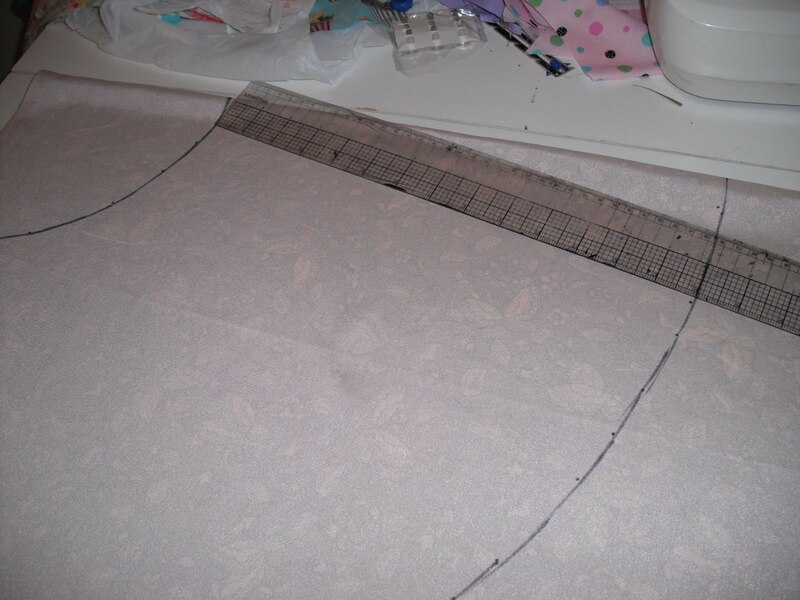 Trace and cut your second piece. Serge the side seams of your skirt together. 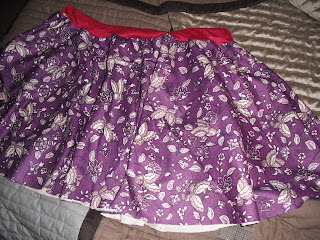 Ease in your skirt to your waistband and serge the seam together. Finish the hem how you like. 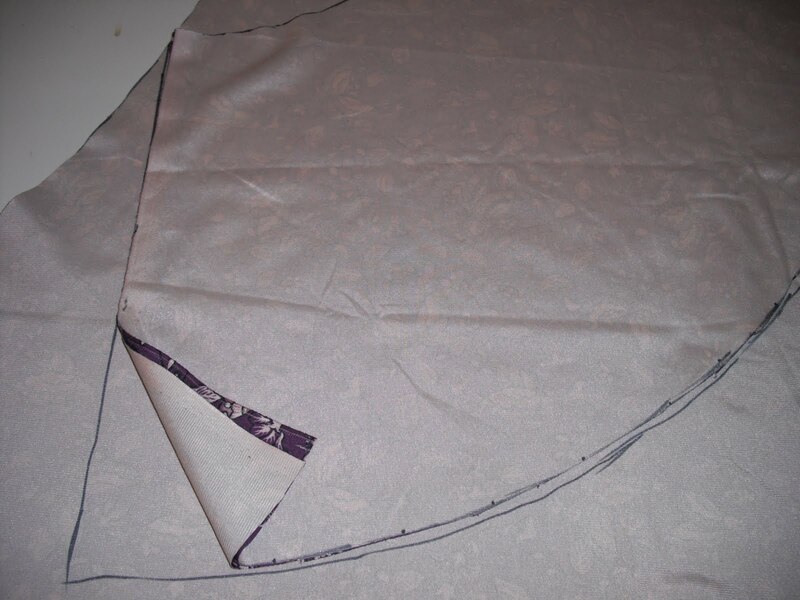 If you want to do one more step using the "quick and dirty" method here is how you can finish your hem. Get a very long piece of fabric with a nice clean selvage and measure in one inch or more (if you would like a border). Cut in your length and clip the corner. Rip your fabric edge off (if it is a woven). 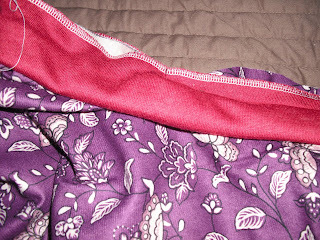 Sew this selvage edge to the bottom edge of your skirt. Voila. No pressing or double rolling required. When you have marked and cut out your skirt pieces take your ruler again. 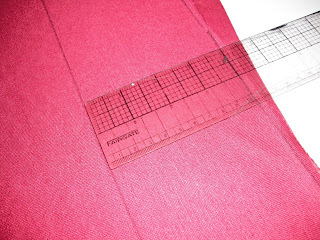 At the center front measure up 1 to 1 1/2 inches and blend to nothing at the side seams. Cut this edge off. Continue using all the other directions.